Remember when we all used to say, "We're Gonna Party Like It's 1999"? What do we say now? We're gonna party like it's Two-Thousand Nine-Hundred and Ninety-Nine? That's a mouthful. Even "twenty-nine ninety-nine" is too much. I guess we'll just have to go retro and return to the short but sweet "Let's par-TAY!" I don't know why I'm even worrying about it, because let's face it, I'm no partier. It's not like I don't know how to have fun. Some years are big party years in our house. This year just isn't one of them. I'm the family member who has to organize a celebration if it's to occur, and for whatever reason, I wasn't in the mood to throw a 4th of July barbecue this summer. Nobody else felt like it either, so a quiet day at home was spent by all. We hung out in our pajamas, watching movies and snacking. 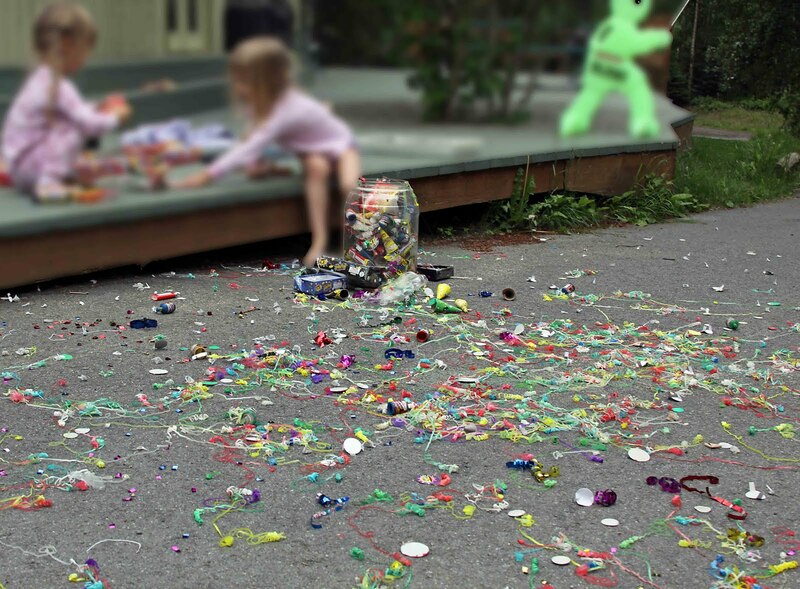 At one point we wandered out to the driveway and shot off a bunch of noisemakers that my husband had picked up a week ago when we thought we might have the energy to clean the house and invite people over. Turns out we didn't even have the energy to get out of bed and go to church. but we're glad to live in the U S of A.
I know what you mean. Some years are big. Some aren't. Ours was low key this year as well. We forced ourselves to invite some friends over this year, because we are trying not to give into our natural inclination to be hermits. But then it rained and saved us from having to celebrate too much. You guys sound like us. We didn't do anything except we did go to church.